The economic downturn has effected many people who find their income considerably reduced, making it difficult for them to service their debt obligations. In such situations people mostly turn to credit cards and the zero interest option and low introductory offers lure people into using cards lavishly and spending beyond their income, which only compounds their problems. It is not unusual to find a single consumer saddled with multiple card balances that are maxed out, with companies screaming for payment. The major options before the consumer are debt management, debt consolidation or filing for bankruptcy. One solution is to consolidate your credit card balances. In this technique all your credit card payments are combined or consolidated into a single monthly payment. This makes sense only if the consolidated balance attracts a lower interest rate and lower fees. This way you get to pay a lower amount as interest and fees each month. This frees your income for liquidating the outstandings faster. A major benefit is that you end up protecting your credit rating through such repayment. An improved credit rating enables you to source fresh loans at lower more affordable interest rates. You can exercise several options for consolidating credit card debt balances. 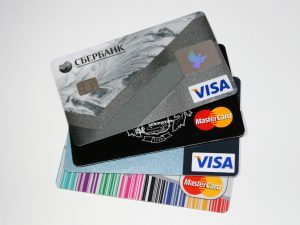 Card companies themselves may allow several credit card balances to be transferred into a single account that could be offered at zero interest or a much lower rate of interest than the original card balances. If you happen to be a homeowner paying down a mortgage you could have your home evaluated afresh, and if the current property price for your home exceeds the mortgage loan outstandings, you can tap the surplus equity to take out a home equity loan. This type of loan is feasible when you have repaid a considerable part of your mortgage over a sufficiently longer period of time. Also your repayments must have been timely and your credit rating is unharmed. Applying for a payday loan or an unsecured personal loan are other options to raise cash to pay card debts. Raising the funds to clear the credit card debt is one issue; your next priority will be to contact card companies to decide the balances that need to be repaid. You then withdraw amounts from your fresh line of credit to repay each creditor in a full and final payment. If you decide on transferring balances you have to get the consent of your new creditor by providing all details regarding your existing billing information, and account numbers and balances lying in each separate account. Once the credit card balances are transferred to your new creditor you have to decide whether to continue using the accounts, freezing the accounts or to liquidate some of the balances in full. You can manage this entire process on your own or you can engage a third party agency to do it on your behalf. This has advantages and some disadvantages. When debt consolidation is handled professionally by an agency, trained counselors will be on hand to help you assess your financial position, and to offer solutions that will be carry the weight of market research and financial expertise. The agency will contact all your creditors individually and will negotiate favorable debt settlement terms for you. You pay the agency and the agency arranges to clear the loan dues of each creditor. Such third party negotiation is useful in waiving fees and penalties and getting your debt burden reduced substantially. The disadvantage is that such services are costly and there will be upfront fees and monthly service charges that will be deducted from your contribution. The safest method is to apply for a loan for vehicle title that guarantees you at least 60% of your vehicle’s resale value, powered by the collateral of your vehicle. These pawn car title loans require you to submit pink slips that are in your name and which are free of debt. The car equity loan interest rate will be lower than 25% APR if you take care to approach professional title lenders, and these loans will offer very flexible repayment schedules that will not strain your income.